A single head pillar lift depositor manufactured for a large scale UK food group. 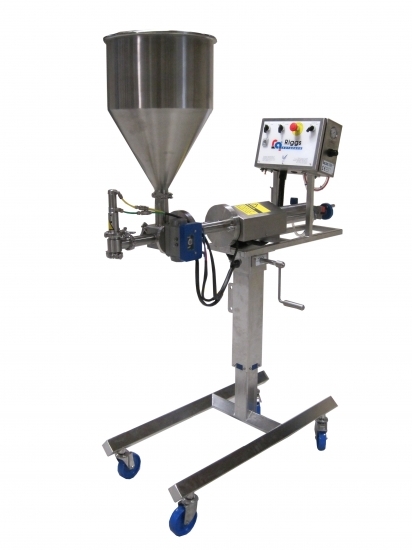 This conveyor depositor contains a stainless steel telescopic pillar lift assembly which supports the dispensing unit. This provides accurate height setting of the depositing nozzle over a conveyor line to accommodate different container heights. Quick and easy adjustment is made by a self-locking lead screw that is adjusted by a handle.